While it's clear I'm in the farmhouse category - and I love all its warmth and charm - I don't always want my designs to be quite as casual and vintage-y as farmhouse style is at times. Instead, I'm aiming for spaces with homespun, artisanal, reclaimed touches alongside high-quality, current pieces for results that are well-designed, modern, and polished (which I think our latest project captured perfectly!). So how do I create spaces that exude warm farmhouse charm but still feel intentional - and maybe even a little luxurious? Read on for my not-so-secret method! You've probably heard this advice before, but it's especially true for 'modern farmhouse' spaces. Antiques, vintage items, and homespun elements are all hallmarks of farmhouse style. But by mixing them with more sophisticated furnishings and decor, you magically create a look that's totally fresh and modern. 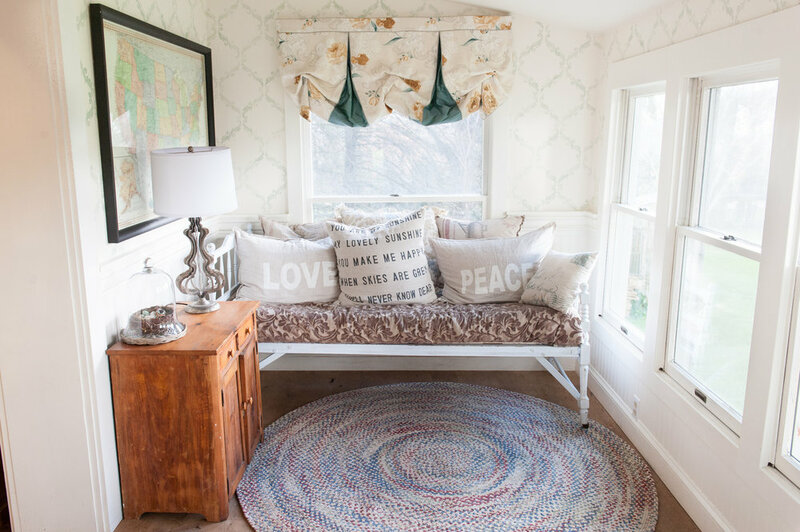 Who ever heard of a farmhouse where you don't feel like you can make yourself at home?! 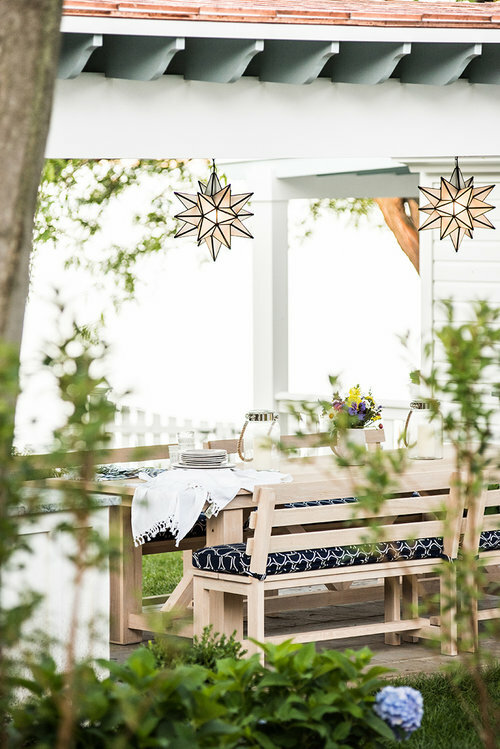 The casual nature of farmhouse style is inherently welcoming with a come-in-and-put-your-feet-up vibe. That means the seating you put in your farmhouse style spaces should be cozy, cushy, and delightfully comfy. Since high-quality sofas and chairs tend to be infinitely more comfortable and durable than cheap, 'throw away' versions, you'll want to zero in on these when choosing seating. The good news is that higher quality furnishings also come with tons of options! Buying made-to-order, customized pieces from trade sources allows you to choose pieces that will pull everything together. That means you end up with a cohesive finished look and feel (as opposed to being stuck shoehorning the wrong size, style, or color into your room's design simply because nothing else was available). 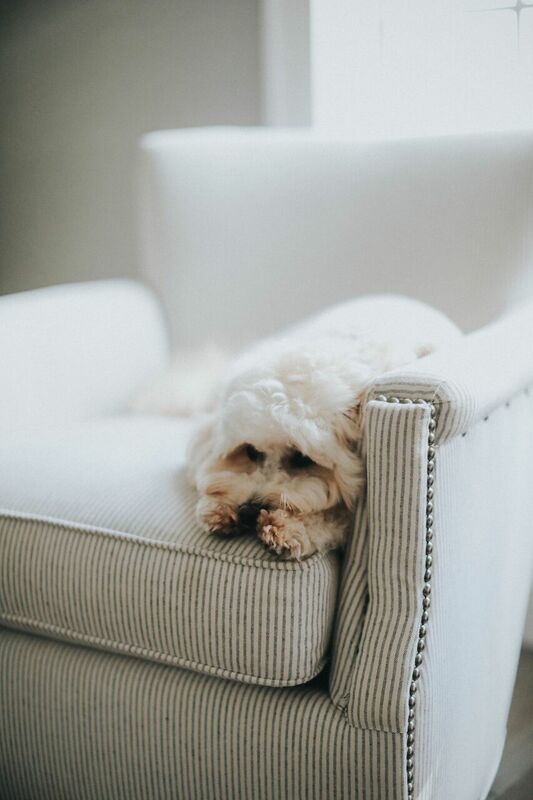 If it's comfy enough for the animals in your house, it's just right (did I mention those high-quality pieces also come in performance fabrics?!). You might think farmhouse style means all things chippy paint and rusted tin. But when you mix those rustic textures with contrasting textures like smooth brass, velvety upholstery, or sleek stone, you create rich layers for the eye to feast on. 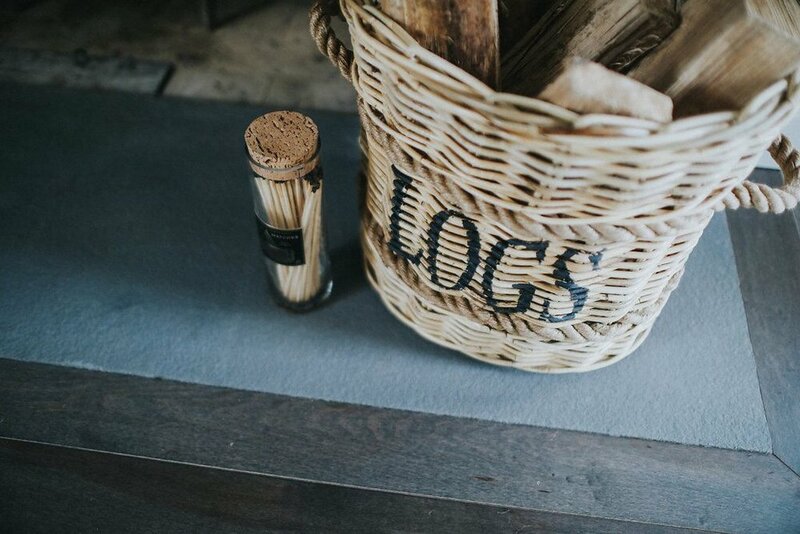 And those luxe textures also serve to make your farmhouse space feel a touch more modern and well-designed. So often farmhouse style color palettes consist only of chalky neutrals and a few watercolor pastels. While I'm all for both of those color categories, I like them even better when they're punctuated by a high-contrast color or two. For instance, to break up an expanse of weathered floors and white walls, add dark-stained wood beams or glossy black cabinets. Or bring in a few fabrics or some artwork in bright or deep hues. Or bring in a few fabrics or some artwork in bright or deep hues. Flowers can be the ultimate farmhouse statement. You can read my trick for perfectly imperfect arrangements every time here. Beautiful herbs and produce make great arrangements too. 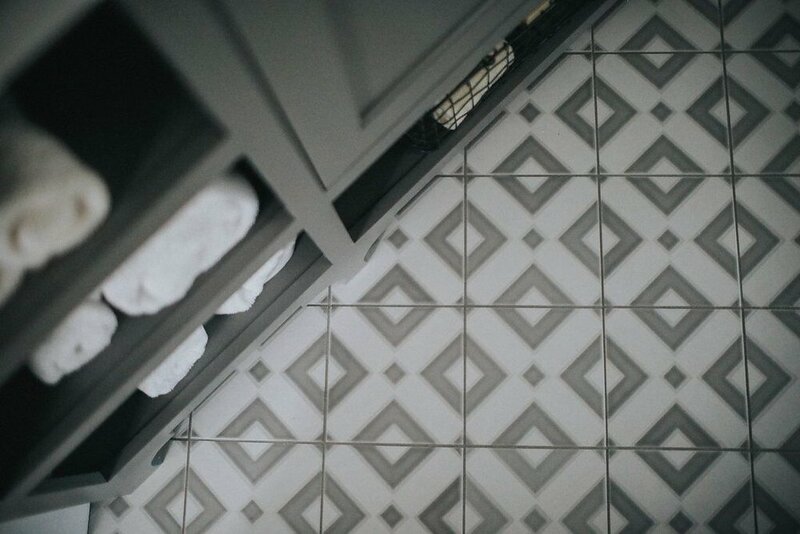 Flooring in tribal and geometric patterns feels so fresh right now for casual spaces. 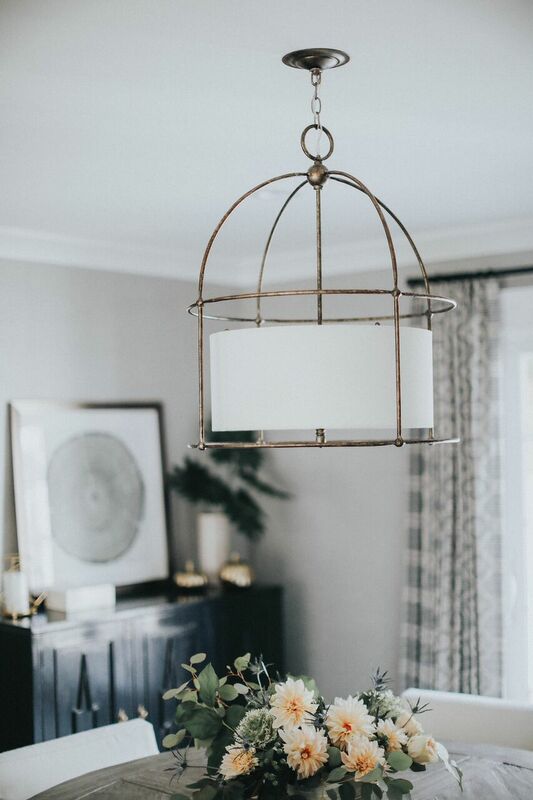 You could go the utilitarian, 'schoolhouse lighting' look, but gorgeous statement lighting is right at home in modern farmhouse spaces. And don't forget things like cabinet hardware and plumbing fixtures! So there it is! That's what I do to create Teaselwood style. I mean, that and hours and hours of behind-the-scenes design work, haha! 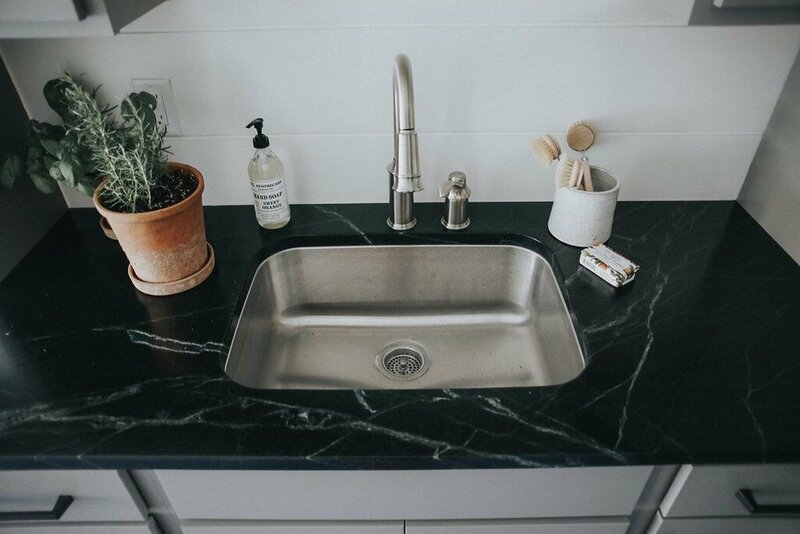 What will you add to your farmhouse spaces to give them a well-designed, modern, and polished look?